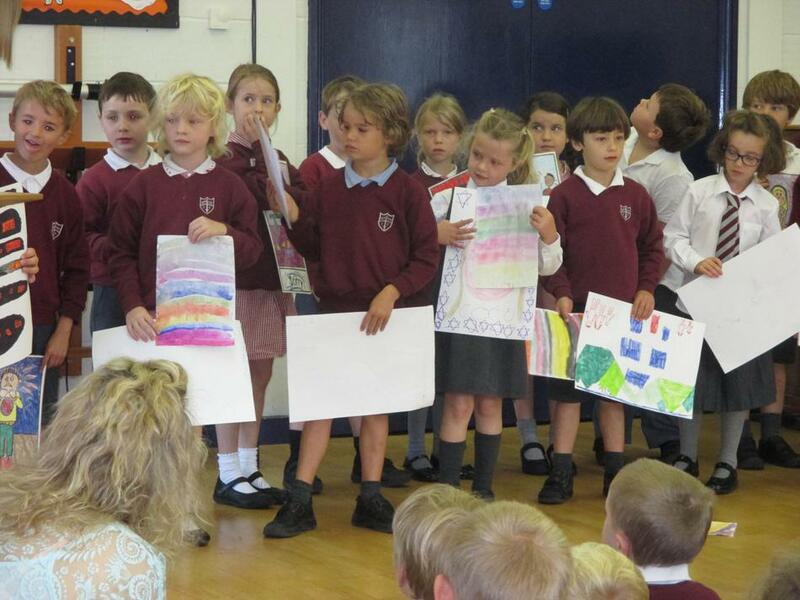 Rights Respecting Schools Level 1 Award. 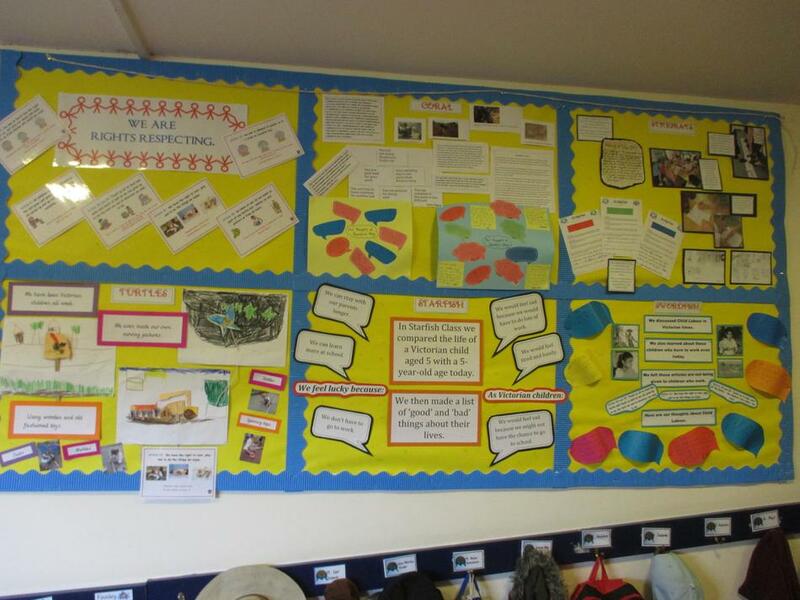 We are delighted to have achieved our Rights Respecting Schools Level 1 Award following our visit from a UNICEF assessor, who spent the day looking at evidence and talking to staff, parents and children about what we have been doing in school and the impact. 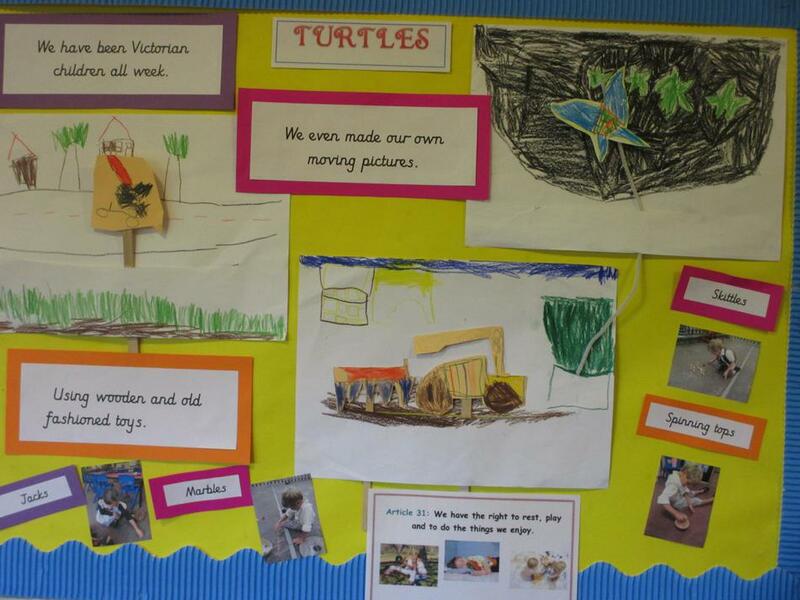 Below is the report we received. 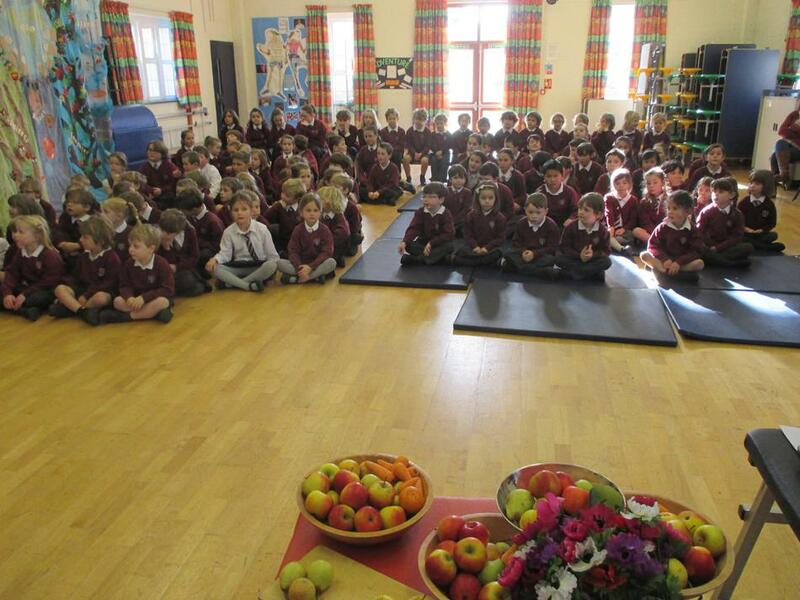 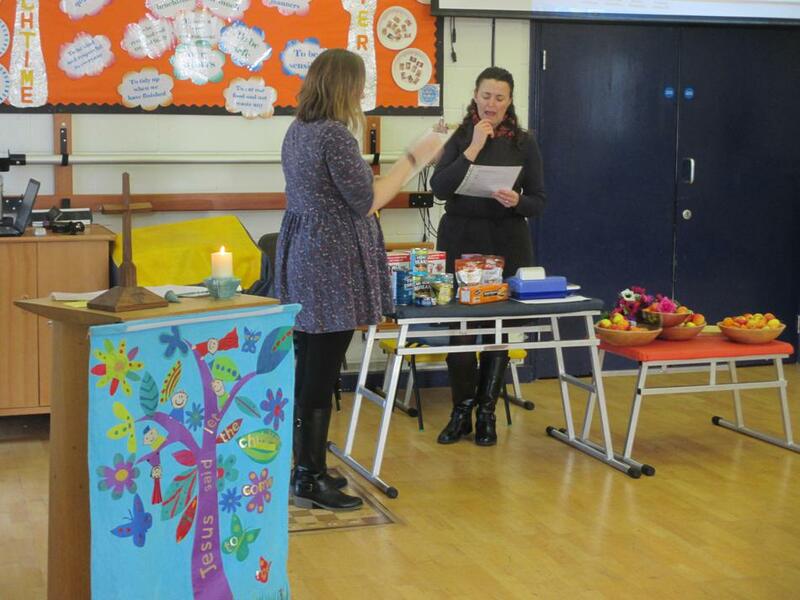 Today, Monday 9th October we celebrated our Harvest Festival in church. 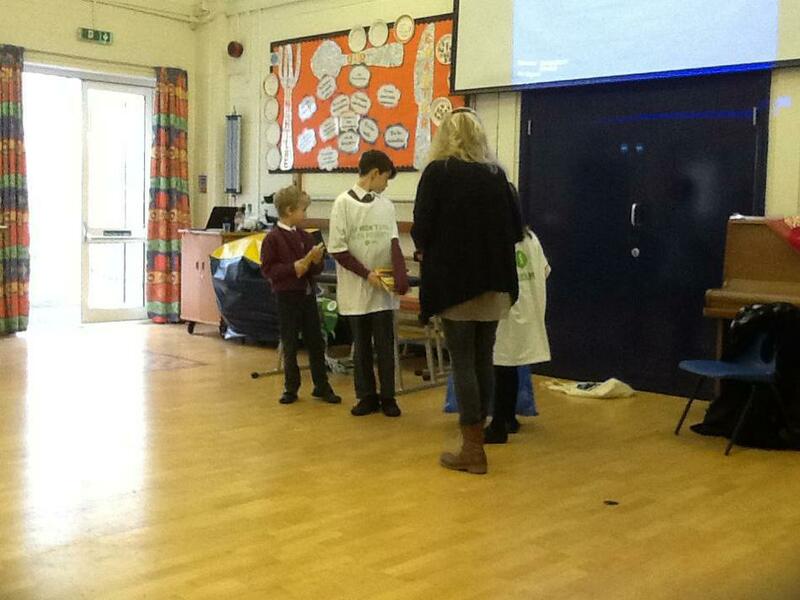 School Council organised a food collection for the Gillingham food bank. 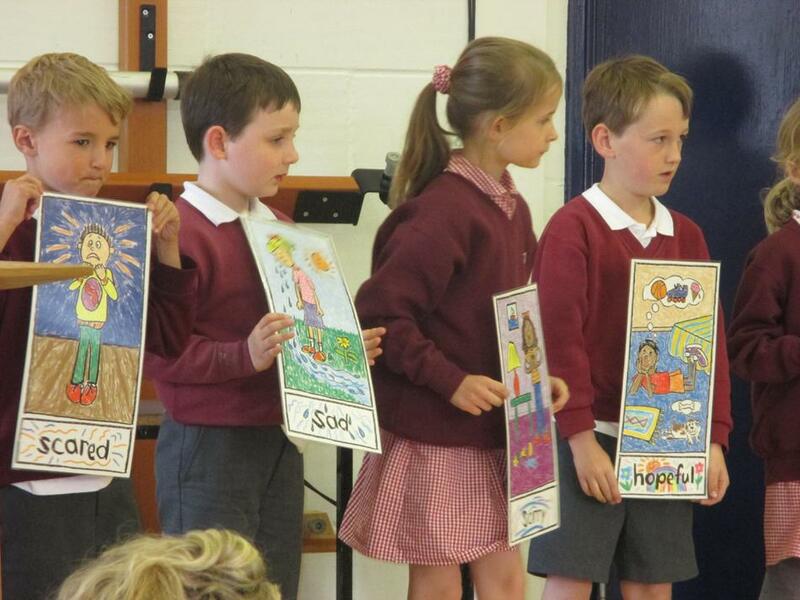 The children realise that everyone has the right to food and understand not everyone is as lucky as we are. 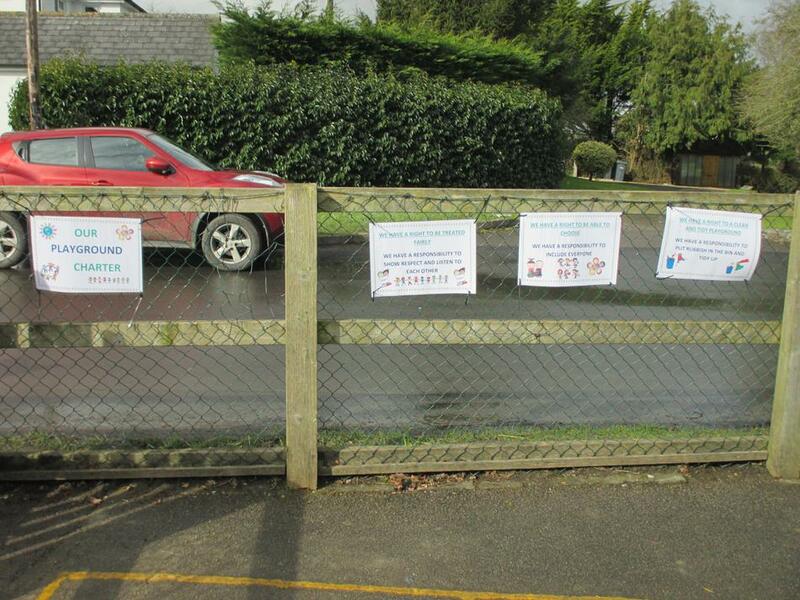 Thank you all for generous donations. 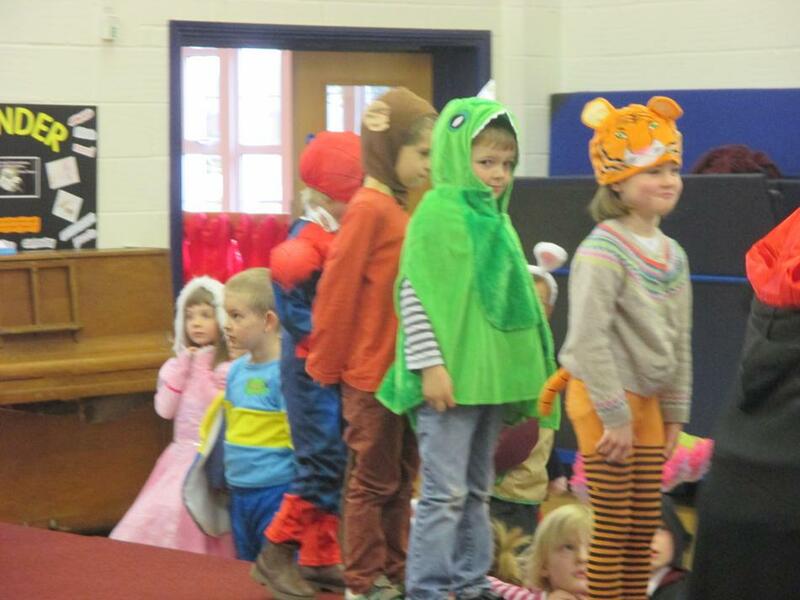 refugees may have experienced before coming to this country. 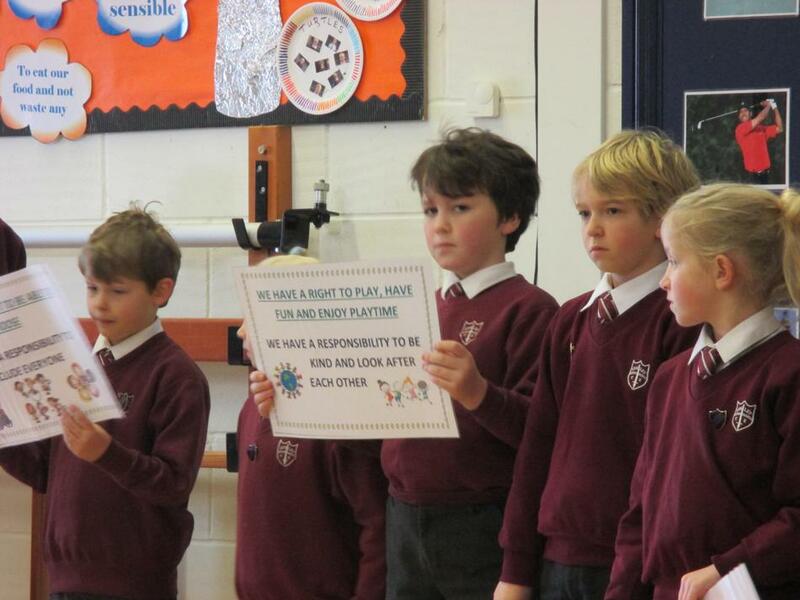 Throughout the day, in classes, we thought about those experiences and how they are treated by others. 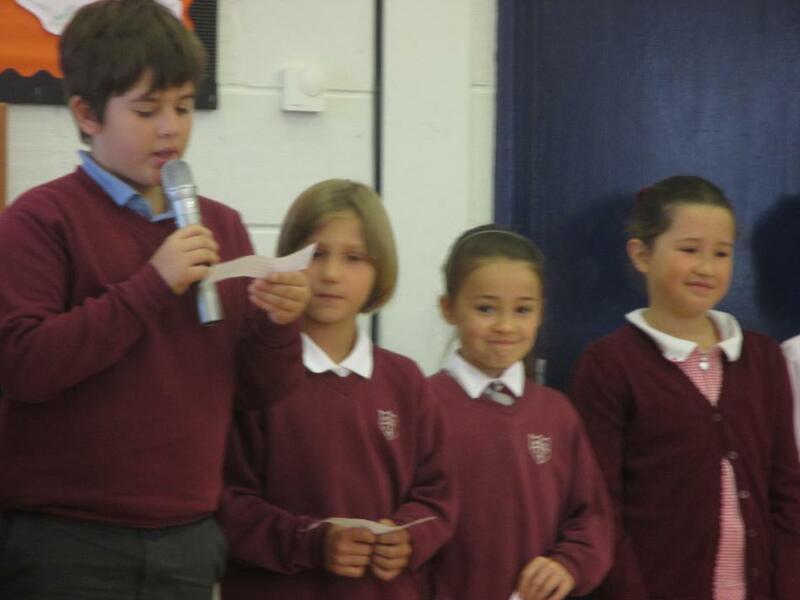 We considered how we can make the lives of those affected better in our own small ways - by showing understanding, friendship and compassion. 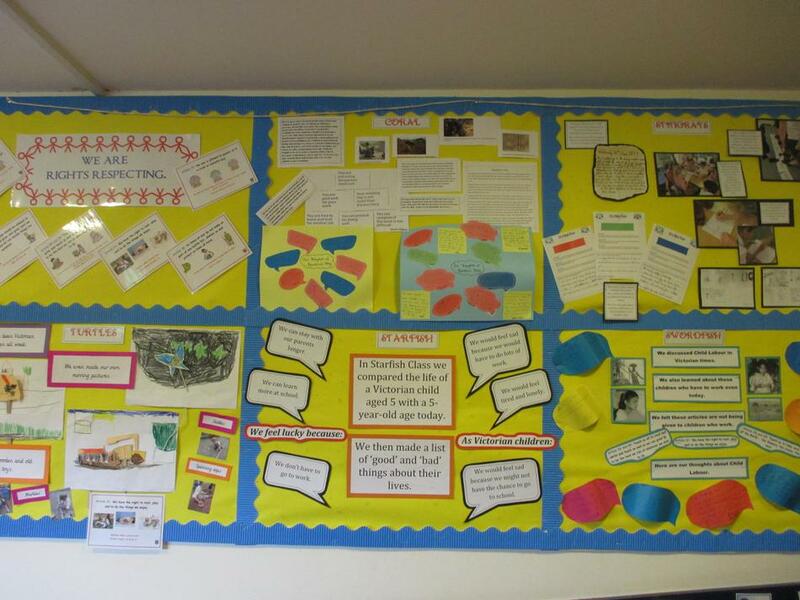 Take a look at our RRS display board in the corridor to the hall, to get a flavour of the work in classes. 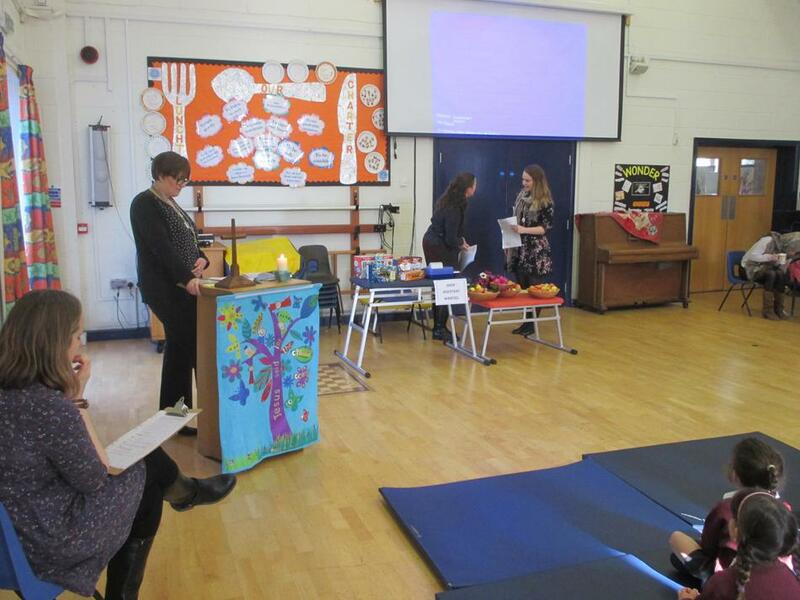 Yesterday, Tuesday 21st March we had our termly Rights respecting focus day. 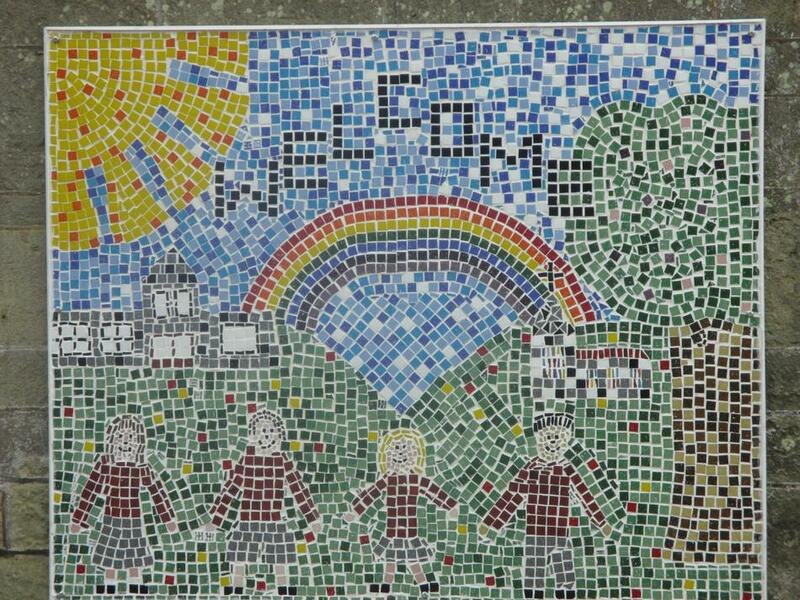 This day was created by the United Nations nearly 50 years ago (1960) because of events in South Africa.The Convention on the Rights of the Child says that every child, regardless of race, religion or culture has all the rights in the Convention. 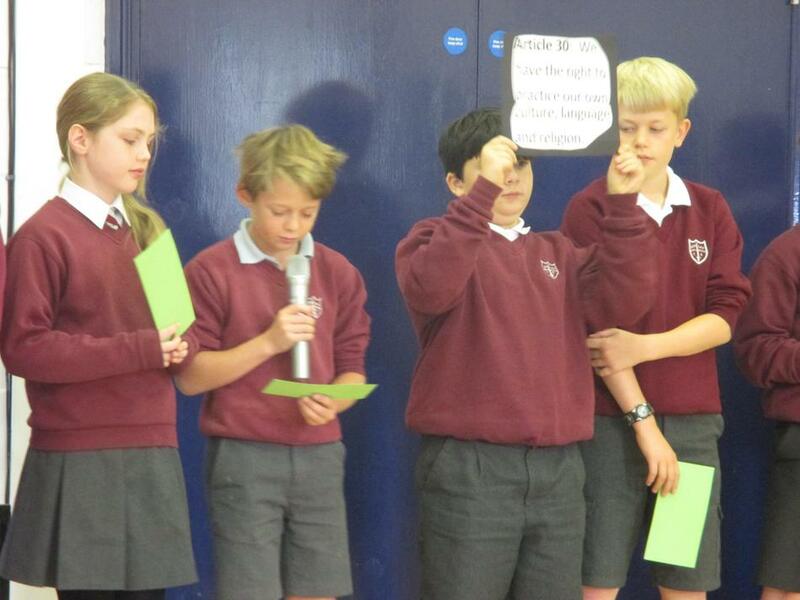 We started the day with a whole school assembly where we looked at what the word discrimination means, why there is an international day, watched a play by the teachers highlighting discrimination, talked about people who were brave enough to stand up and fight against discrimination and even experienced how it feels when we are not all treated the same. 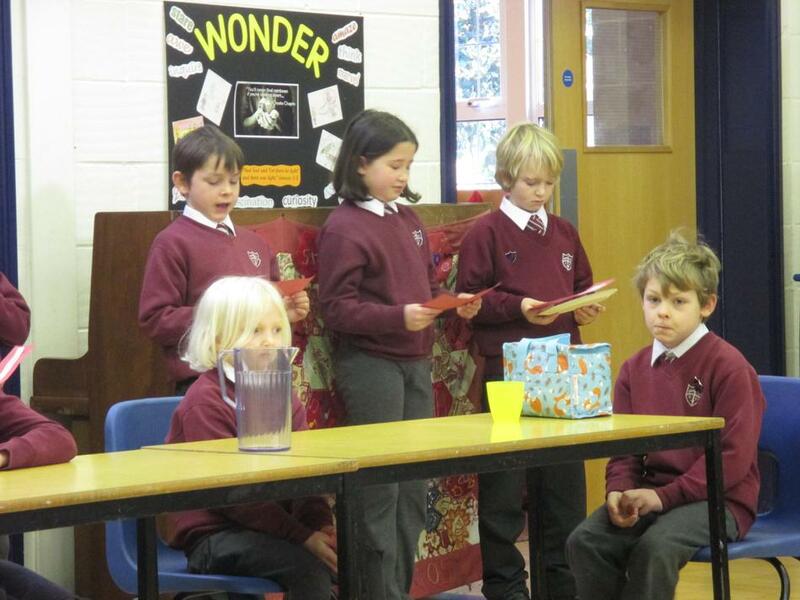 The children continued discussions and activities in their classes. 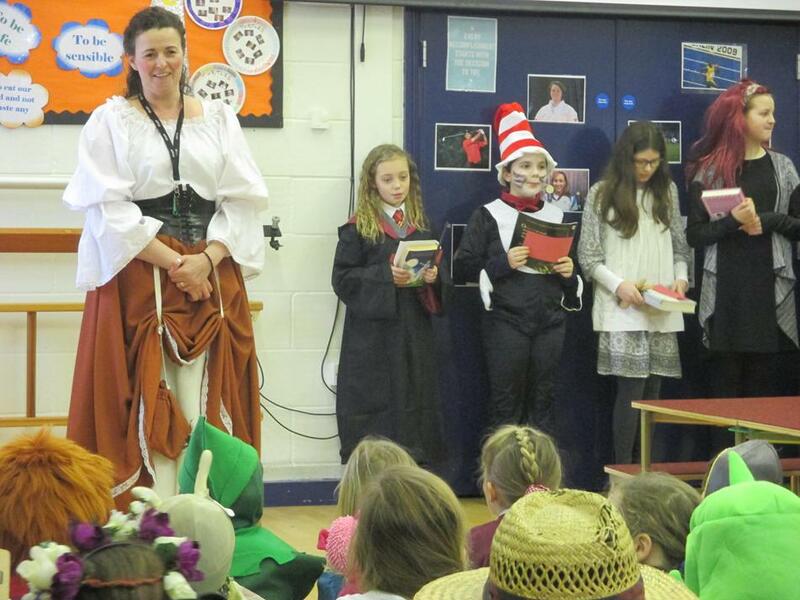 In Monday assembly, Nancy from Oxfam in Shaftesbury, came to personally thank the children for their book donations from World Book Day. 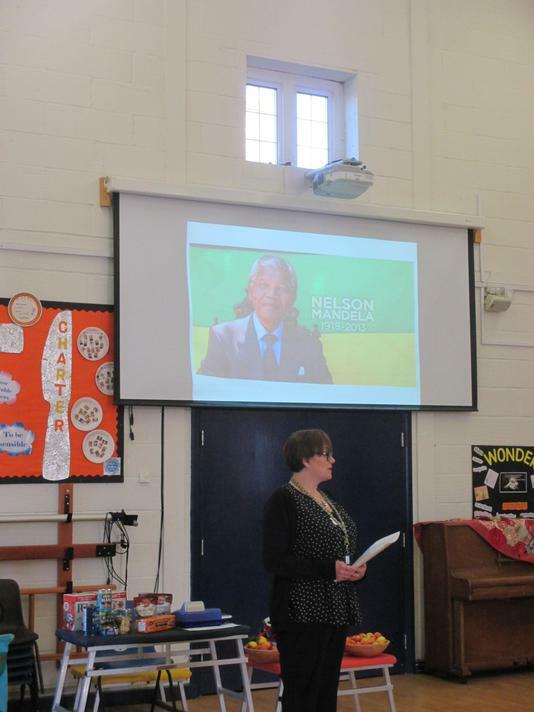 She explained to the children what has happened to their book donations and showed the children some clips of how the money helps children struggling with poverty. 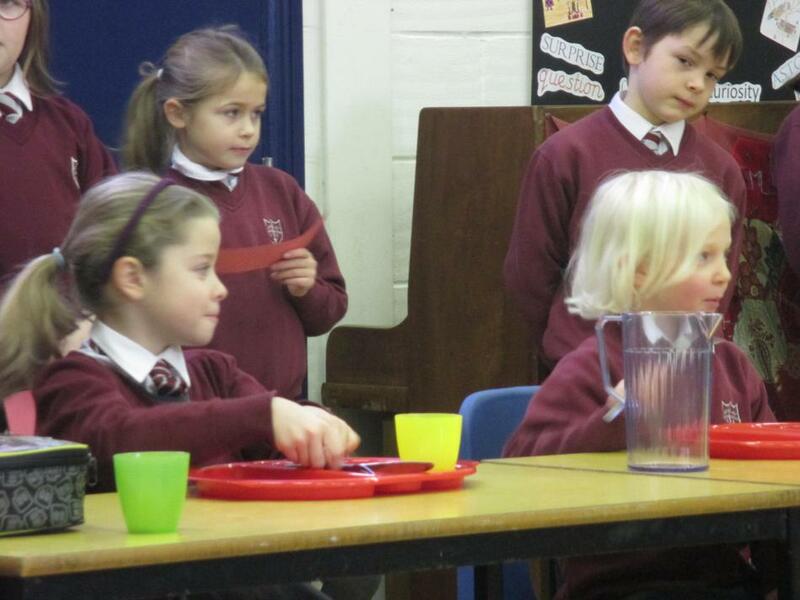 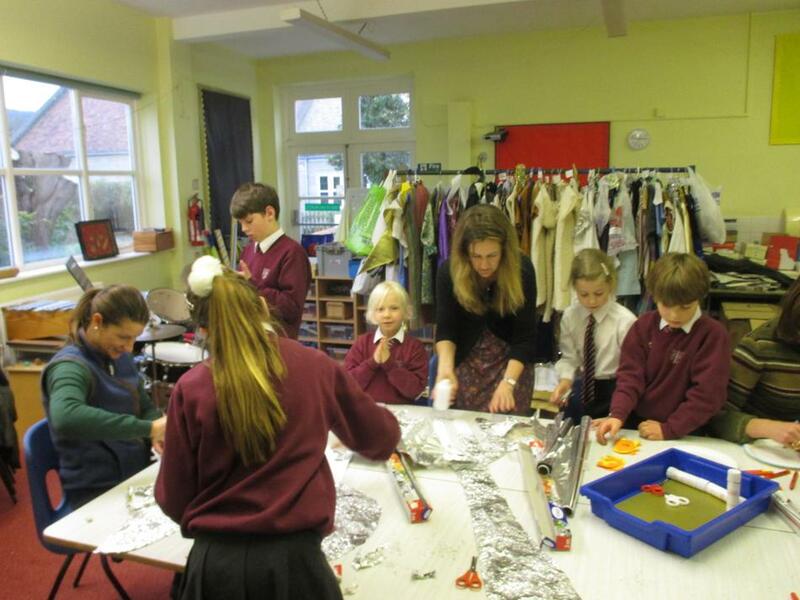 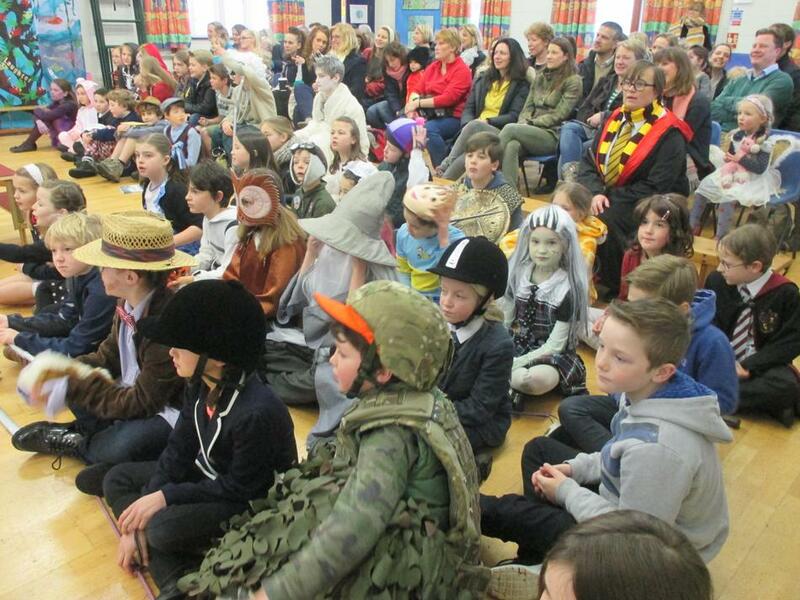 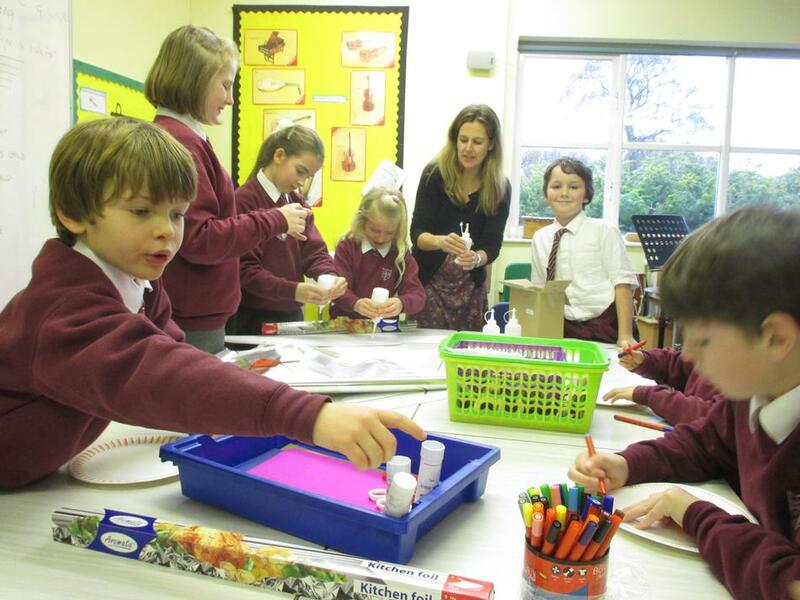 On 22nd November we held our Autumn term RRS focus day. 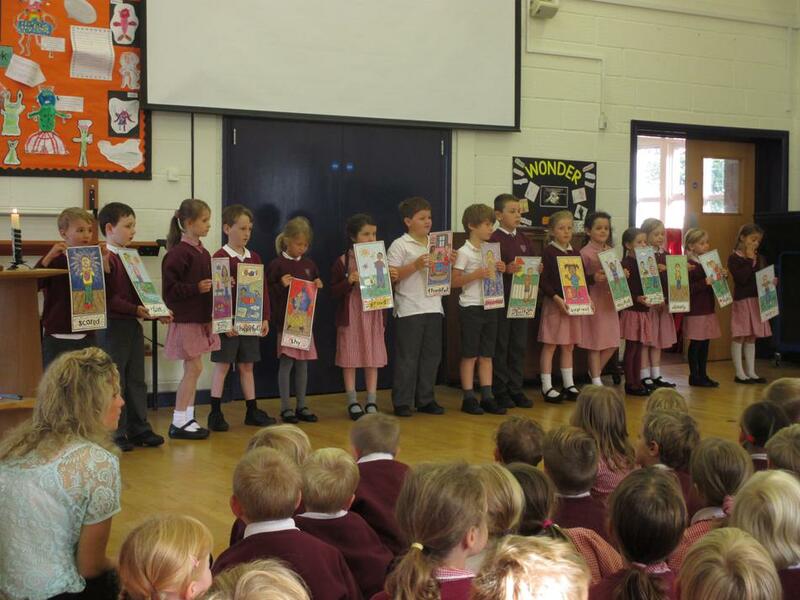 OutRight is a special campaign for schools in the UK that empowers children to speak out about children’s rights and celebrate the anniversary of the Convention on the Rights of the Child. 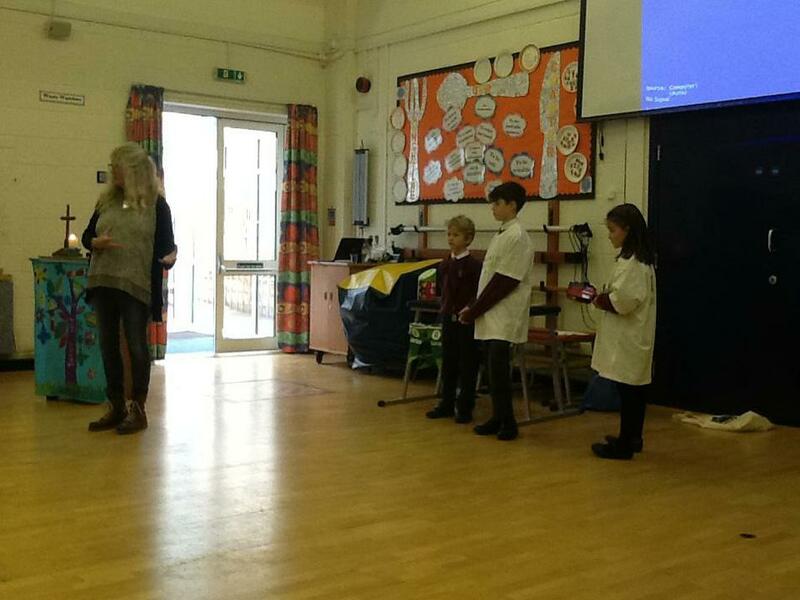 We looked in classes at the rights of refugees. 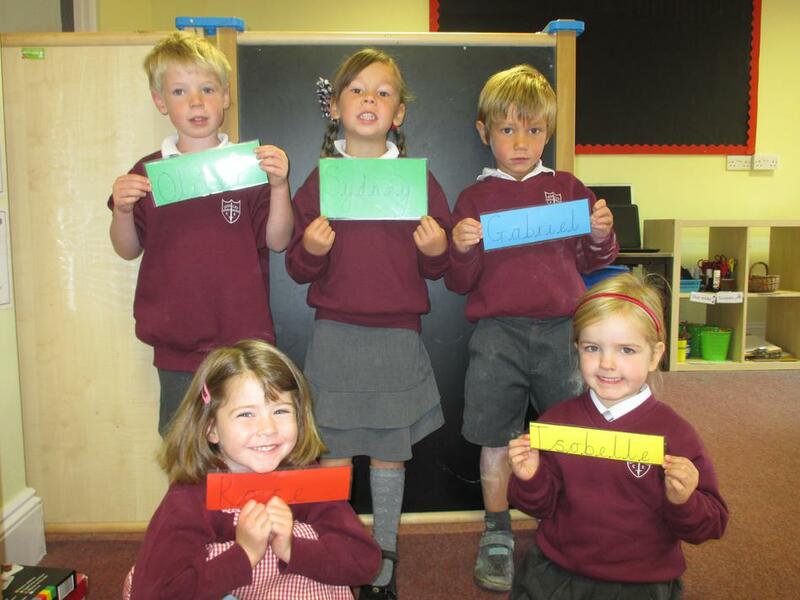 We talked about what the word refugee means and what causes people and especially children to become refugees. 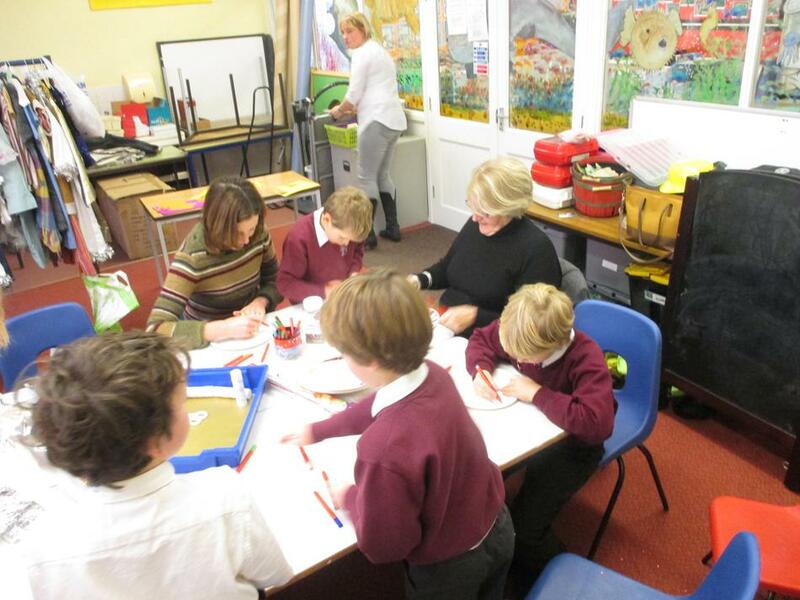 The children thought about how it might feel to be a refugee, what they might take if they were forced to leave home in a hurry they tried to empathise with these children and discussed what rights these children are being denied. 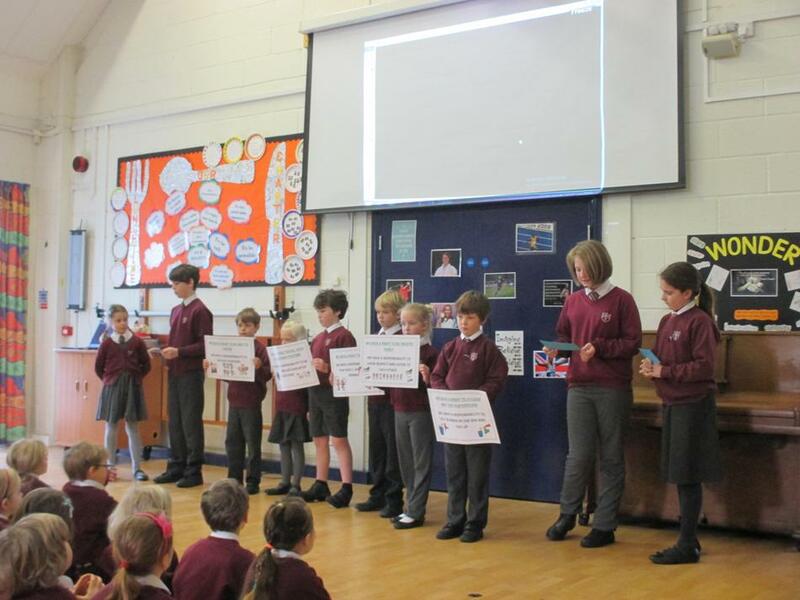 We linked our work to Children in Need, which we supported on Friday 18th November, thinking about children in Need around the world. 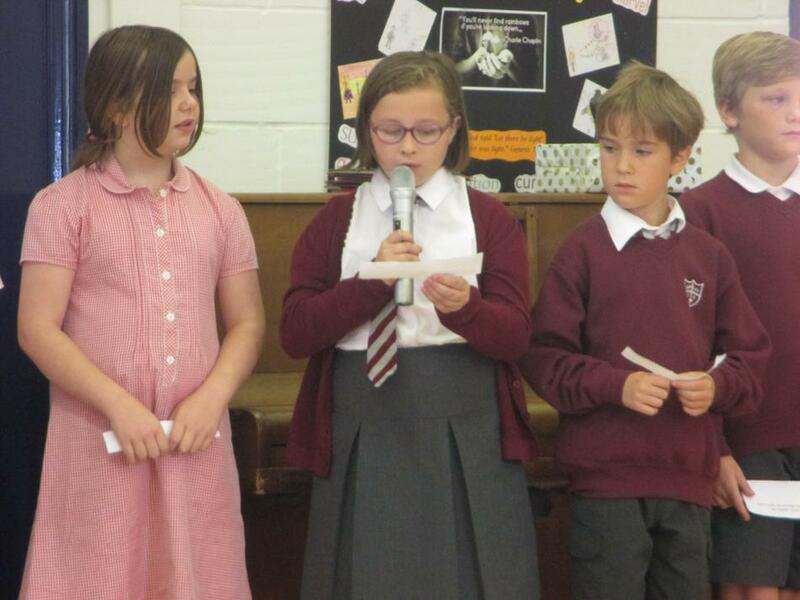 During our Victorian week, which we held to celebrate the 175th Anniversary of the school, we considered the rights of children during Victorian times and today. 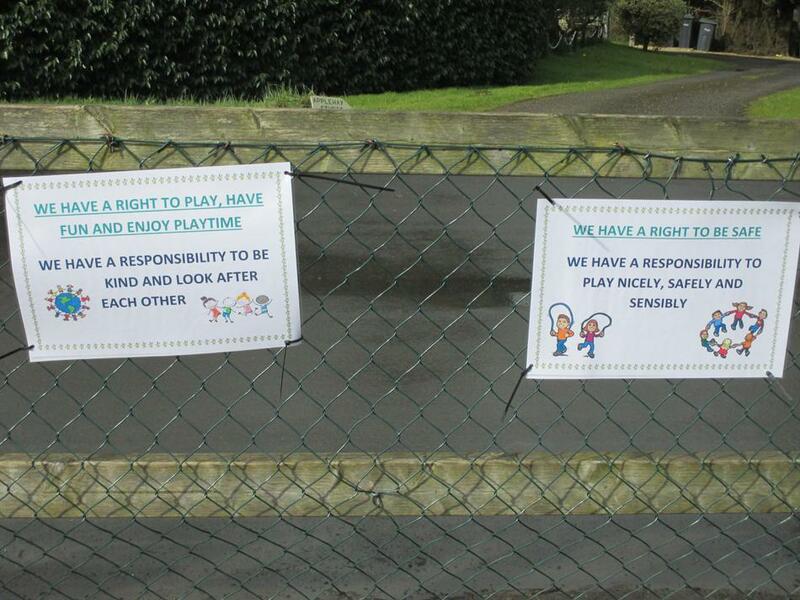 The younger children looked at toys and Article 31: The right to rest, play and do the things we enjoy. 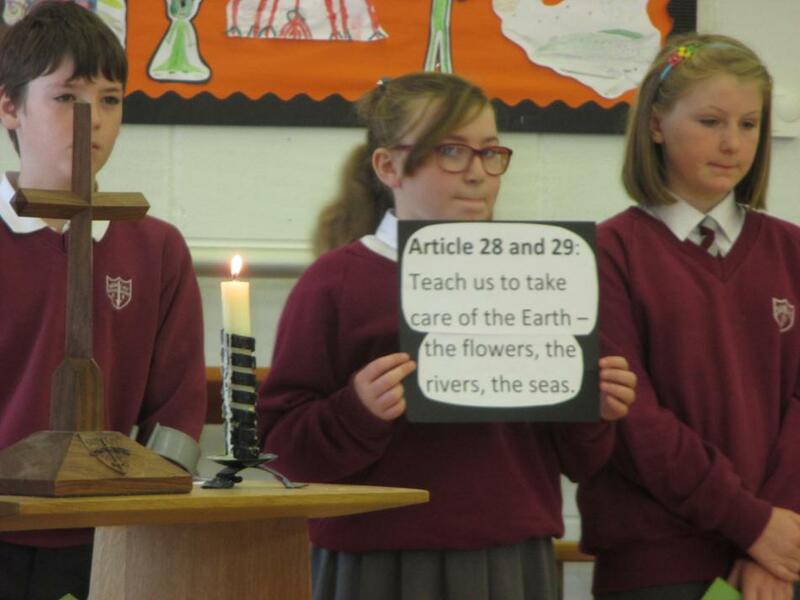 The older children looked at Articles 28 & 29: The right to an education and Articles 19 & 37: The right to be kept safe from harm and physical punishment. 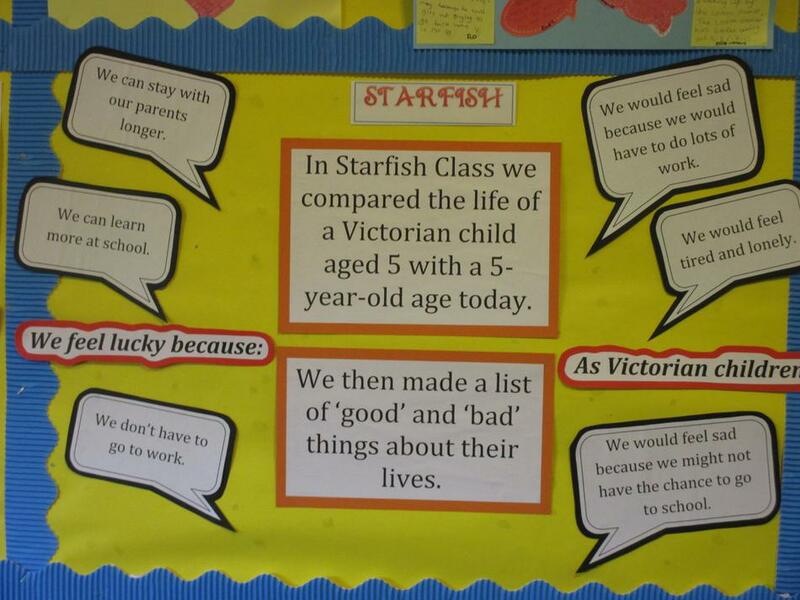 The children learnt about education in Victorian times and compared with their lives today. 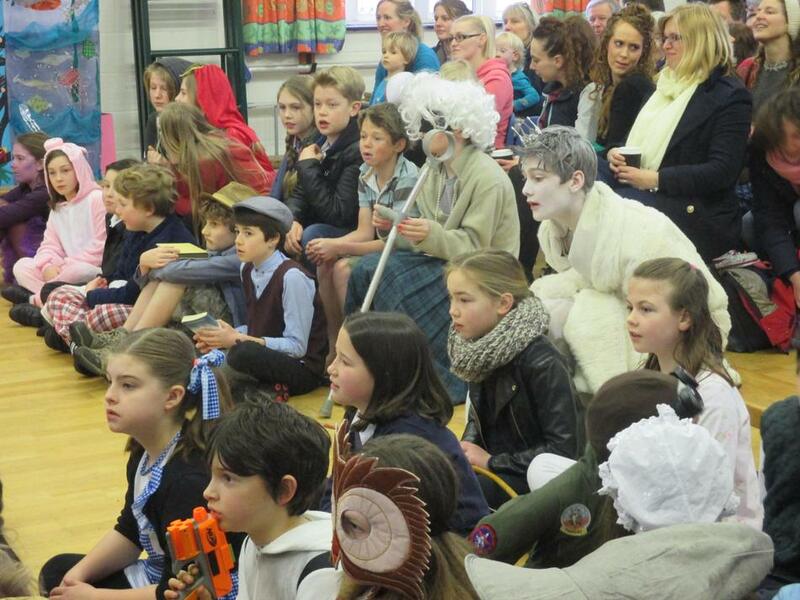 They also thought about the fact that even today not all children have an education. 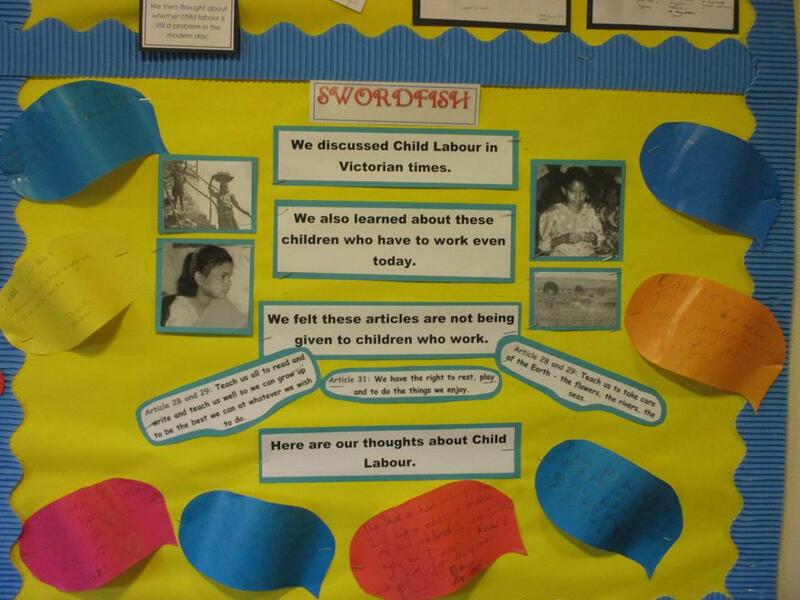 Similarly they learnt about child labour in Victorian times, their own lives and child labour today. 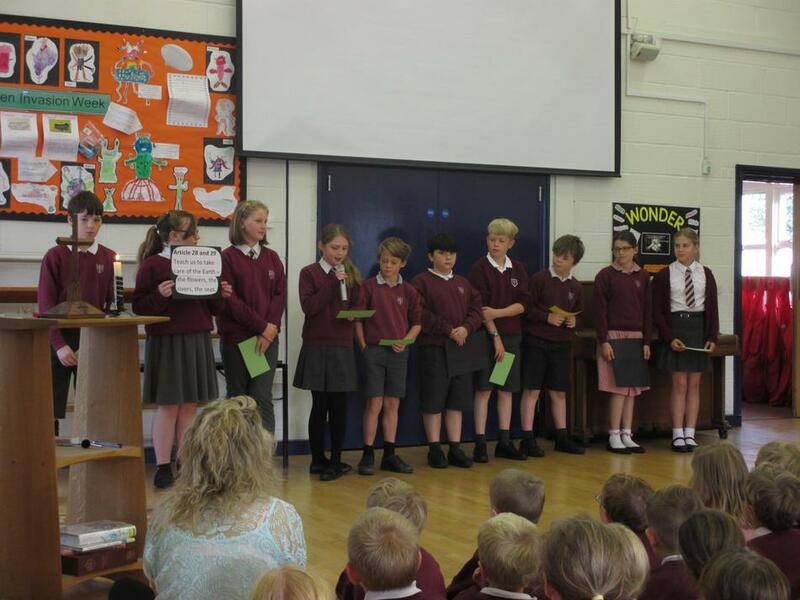 On Friday 4th March, School council prepared and introduced the Playground charter to the whole school community in assembly. 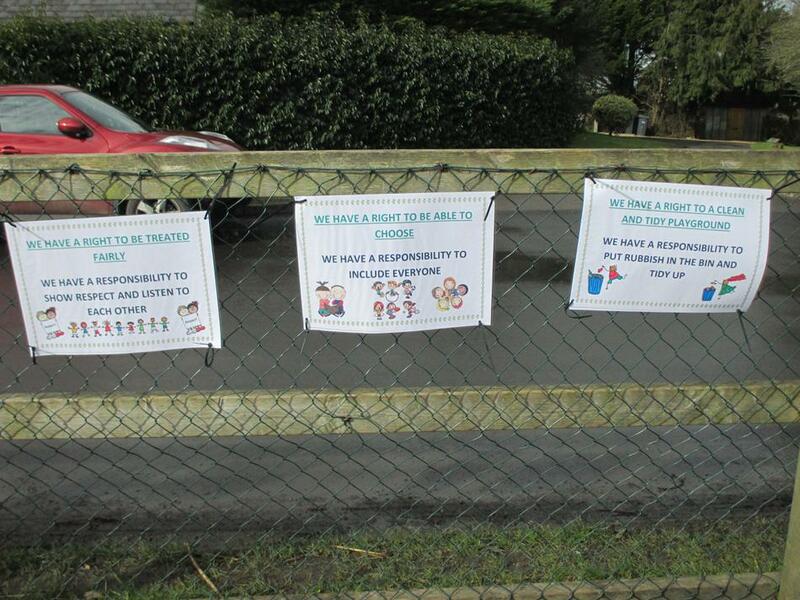 They took all the children's views from our Pupil Voice afternoon and used this to create our Rights and Responsibilities for playtime. 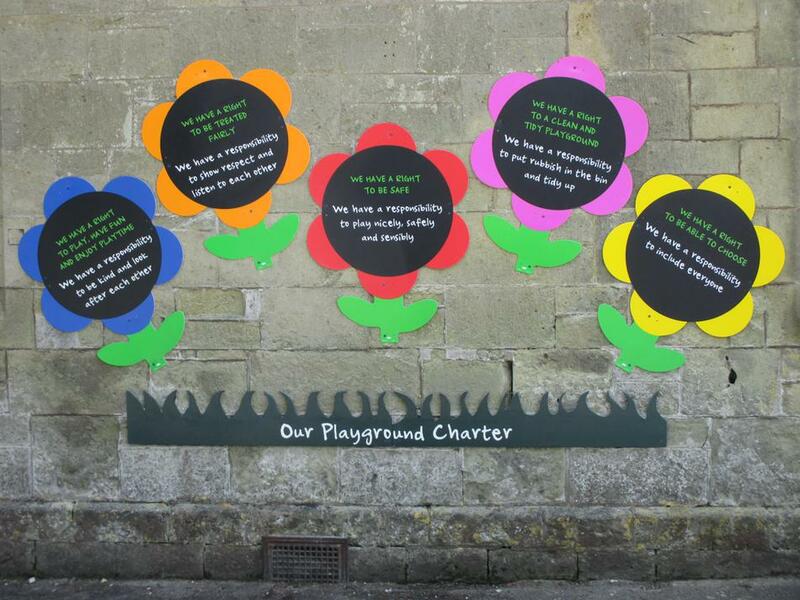 Our playground charter is now complete and replaces the temporary one. 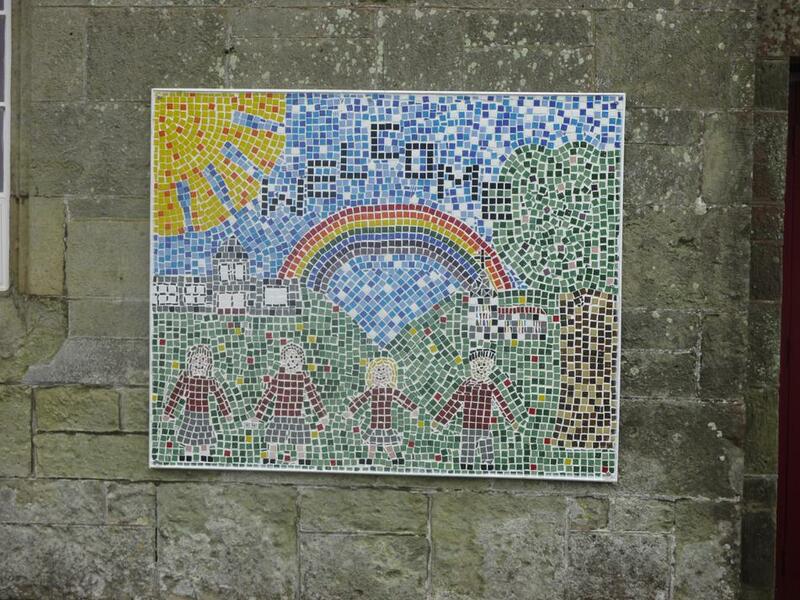 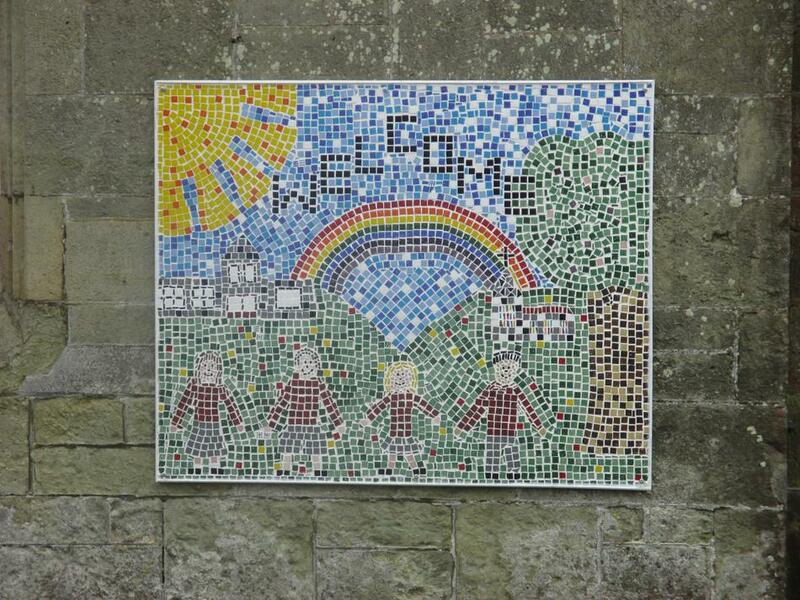 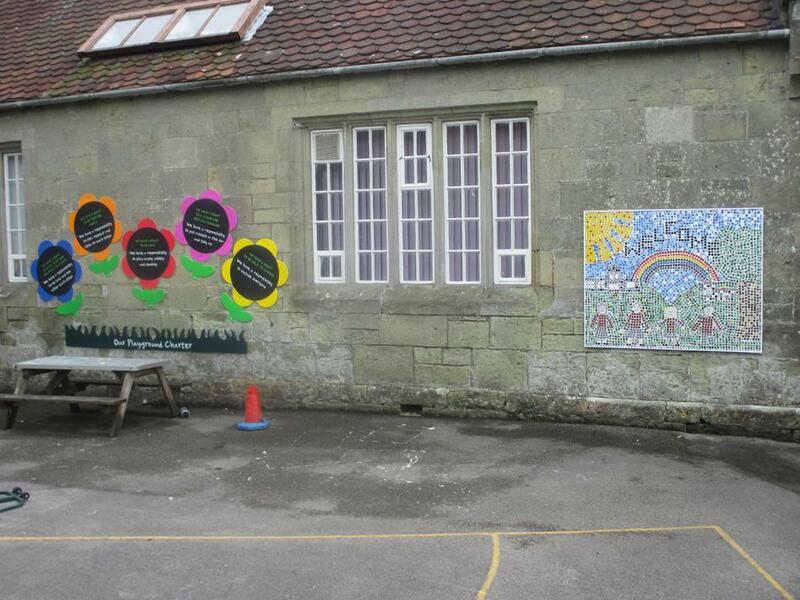 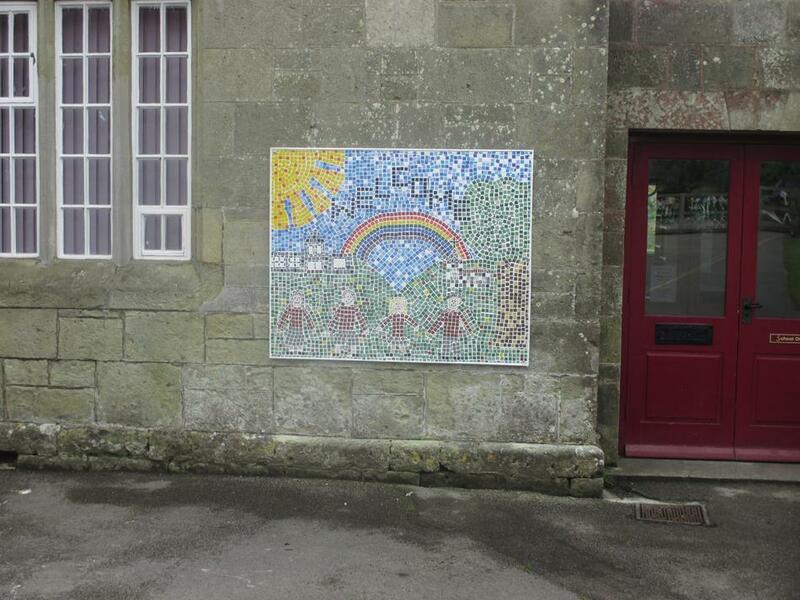 It was designed by School Council and can now be used for the children to refer to during playtimes. 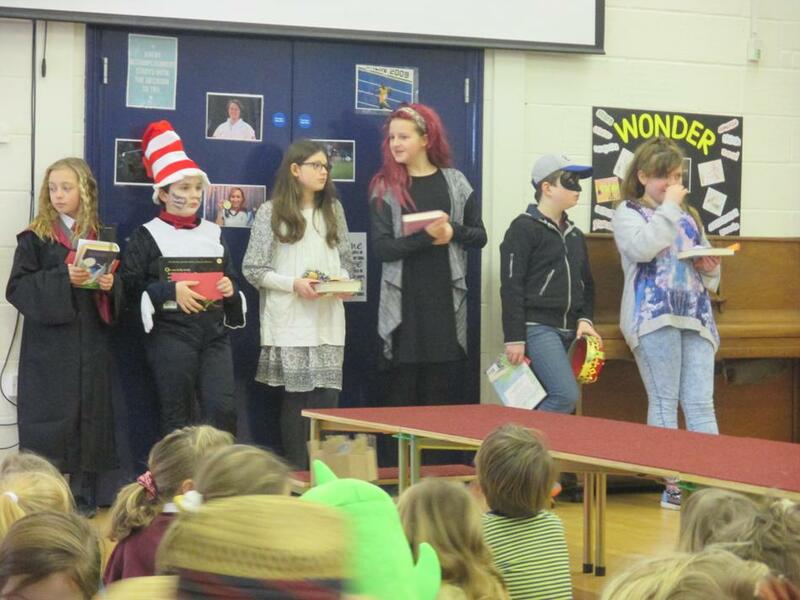 Not only did we dress up as our favourite book character, but we also thought about and discussed Articles 28 and 29 - the right to an education. 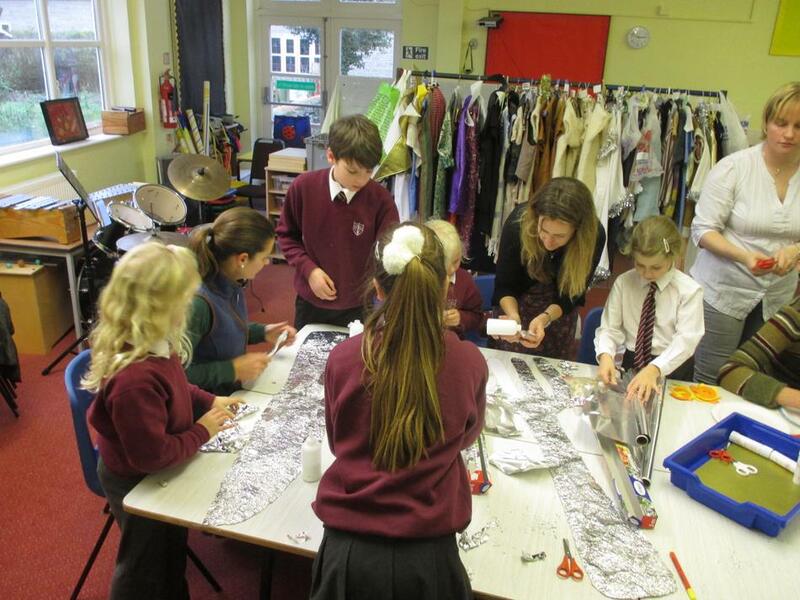 In classes we completed a range of activities, including looking at classrooms around the world and the inequality between ourselves and others. 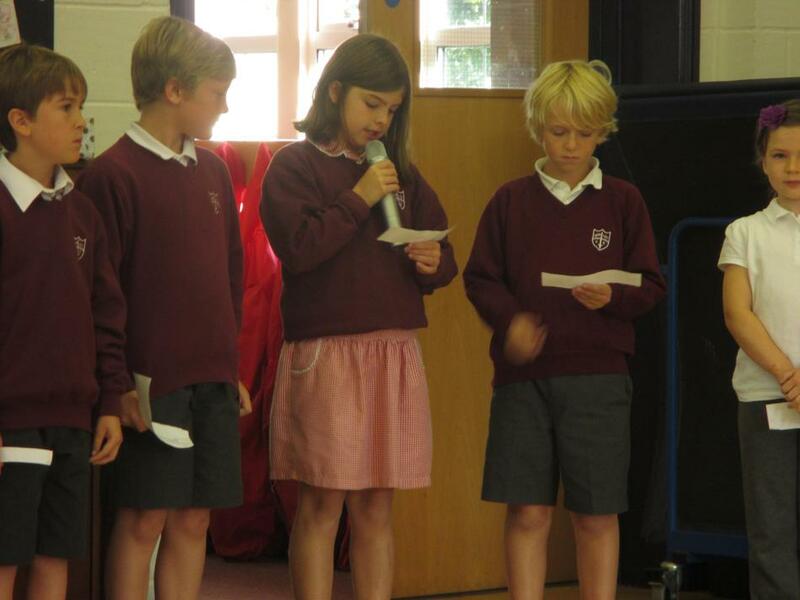 Children discussed and expressed their opinions on how very lucky we are to have a right to go to school and how now we have the responsibility to make the most of our education through trying hard and giving our best. 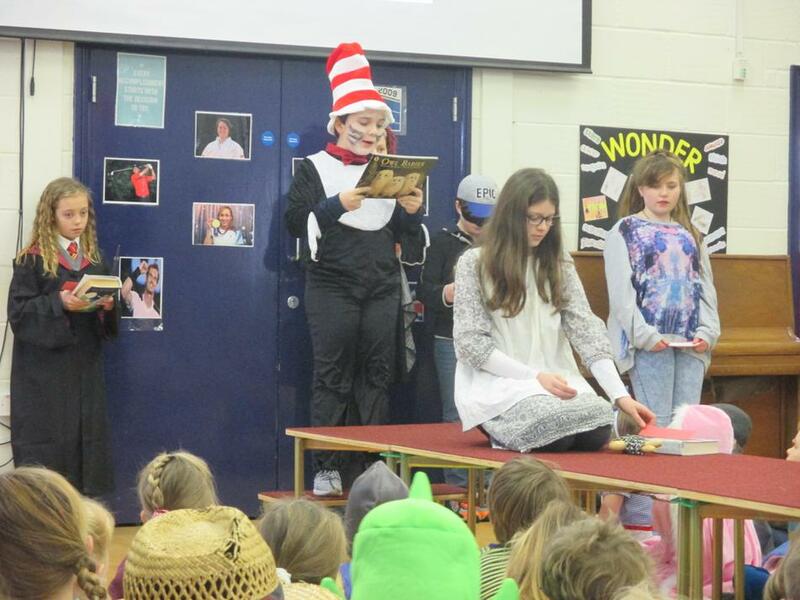 Semley school also made a large donation of pre-loved books to Oxfam, so they can help others who may not have the same rights as us. 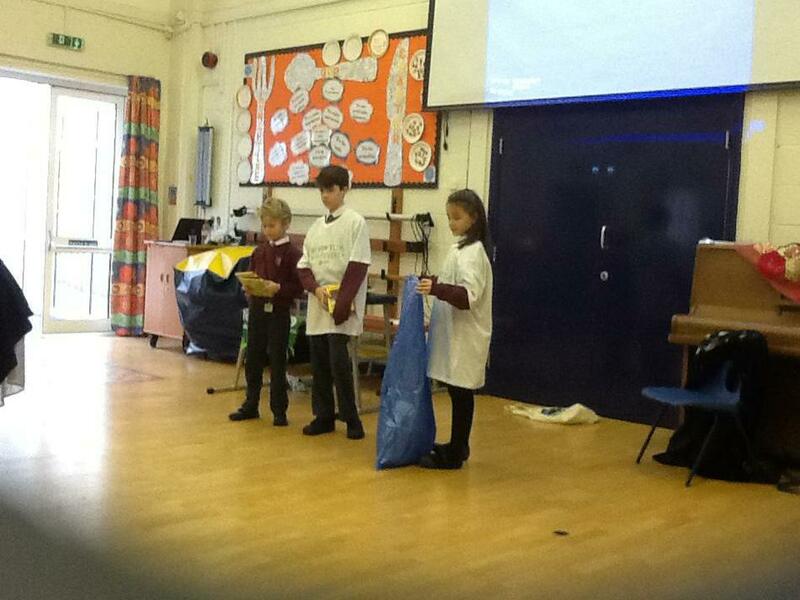 On 19th January School Council and Waste Warrior gave an assembly explaining the Lunchtime Charter, which they prepared themselves. 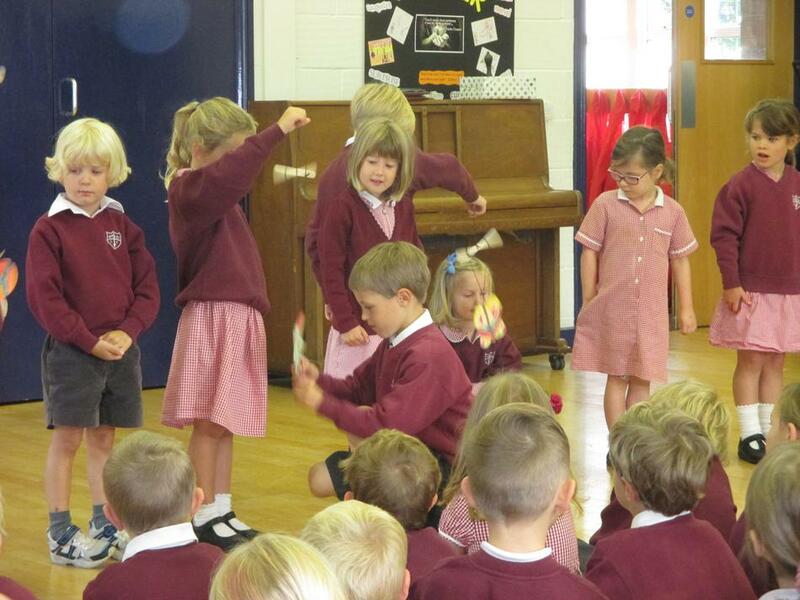 They talked about and presented a small drama to explain the rights and more importantly the responsibilities of everyone at lunchtime. 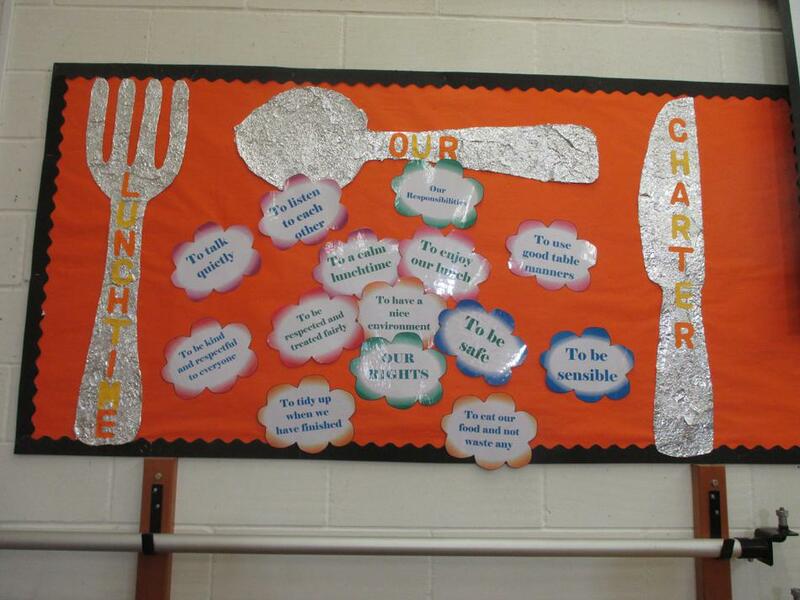 Following on from this all children and MDSA's have signed their name or placed their picture on the lunchtime charter to show they have agreed to the lunchtime charter. 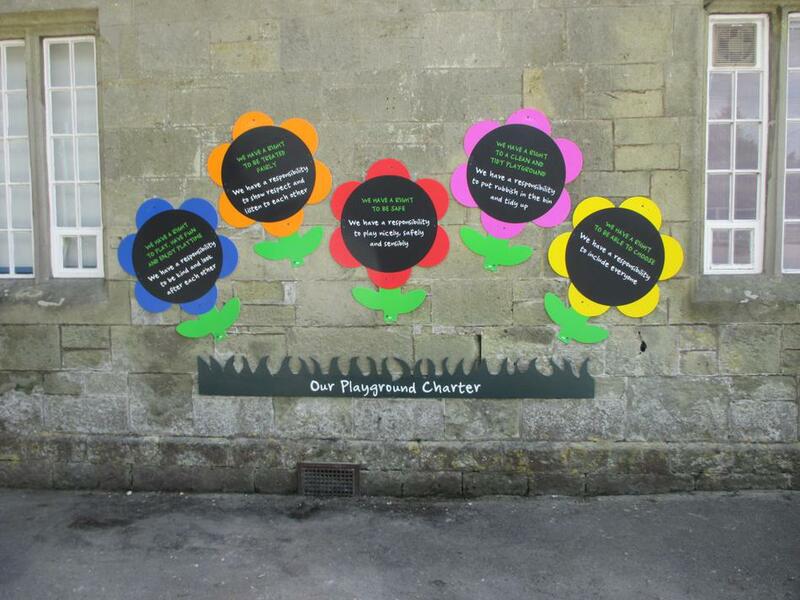 The MDSA's will now be looking for individuals each week who have consistently demonstrated rights respecting actions at lunchtime to receive a lunchtime rights respecting certificate and have their photo on the rights respecting board outside the staff room in reception. 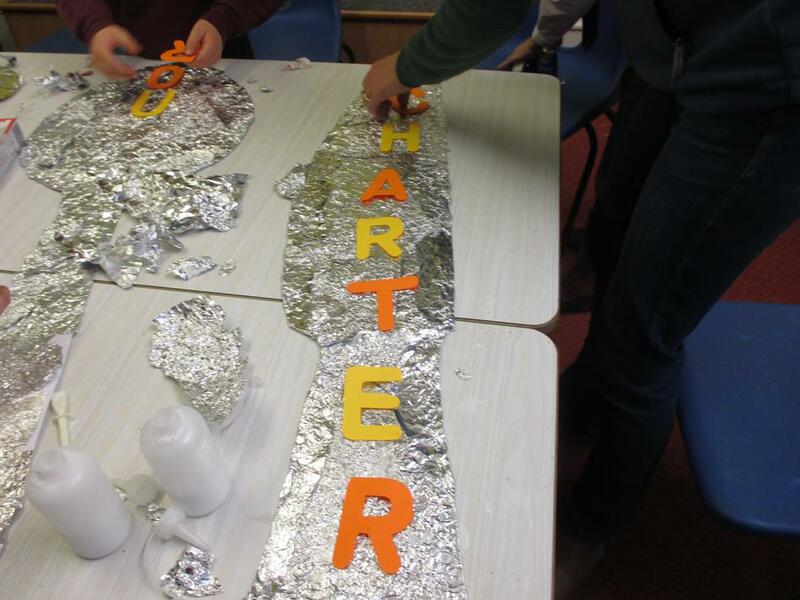 On 3rd December some of our parent and governor steering committee members helped school council to create the artwork for our school lunchtime charter. 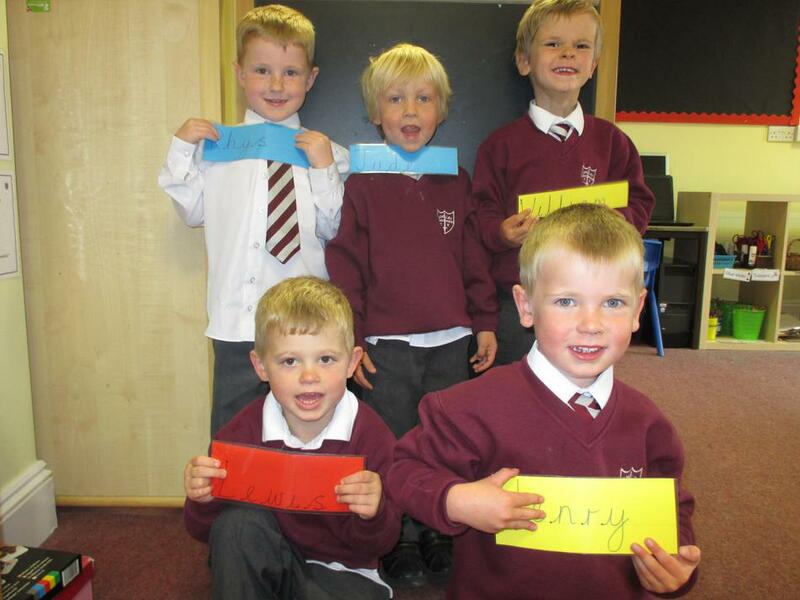 This followed on from the ideas gathered from all classes in our pupil voice afternoon. 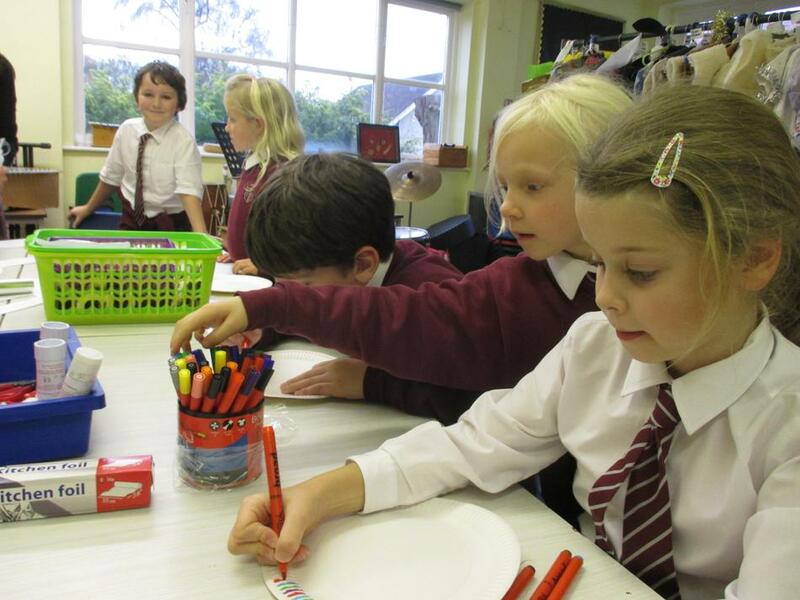 As part of our efforts to become a 'Rights Respecting School' and to teach children about their rights and responsibilities, we have moved away from having 'Golden Rules' for classroom behaviour. 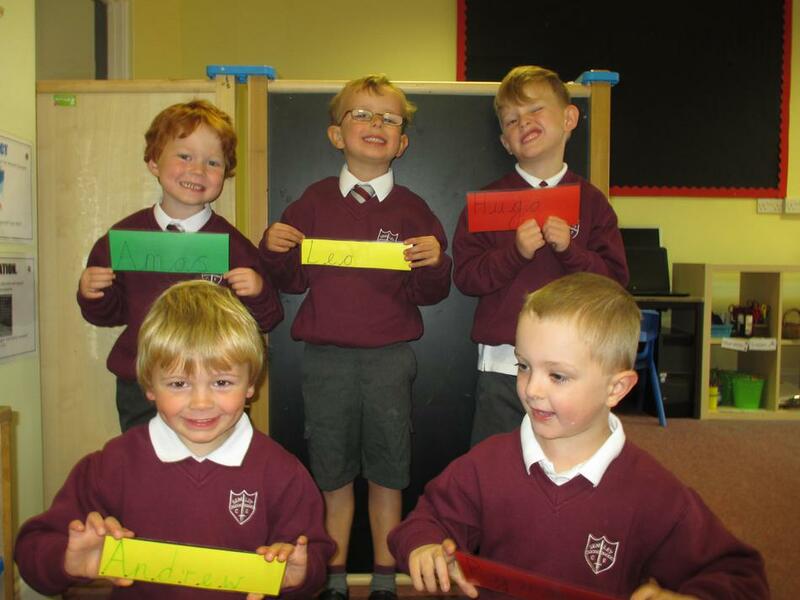 Instead, the children have been coming up with their own ideas, which have been developed into 'Class Charters' which the children have all signed up to and which encourage them to take responsibility for their own behaviour. 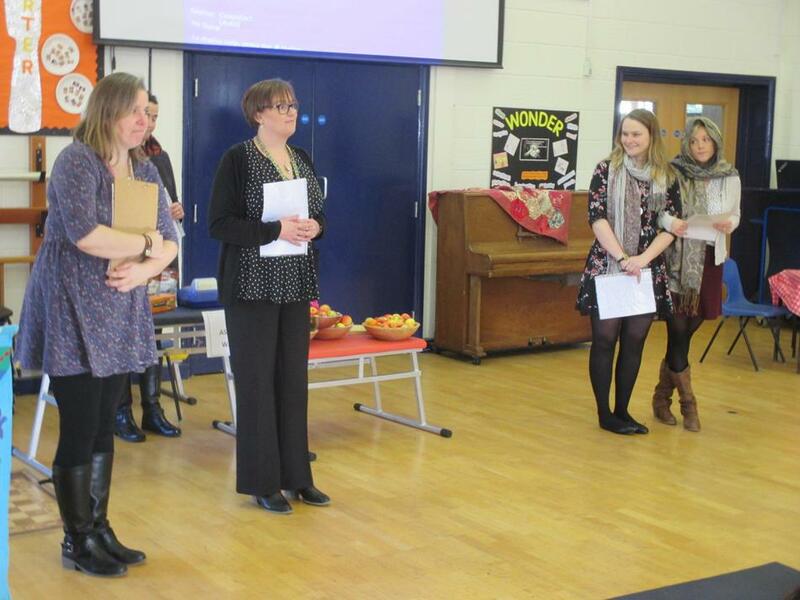 We achieved our Recognition of Commitment in November 2015. 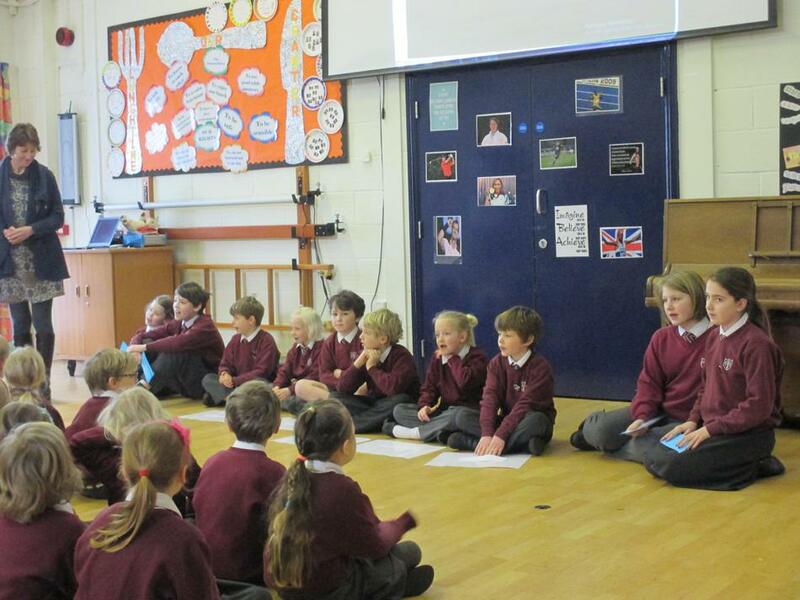 On 12th November School Council held a pupil voice afternoon, in order that all the children could consider what rights and responsibilities they felt were important for their Lunchtimes and Play times. 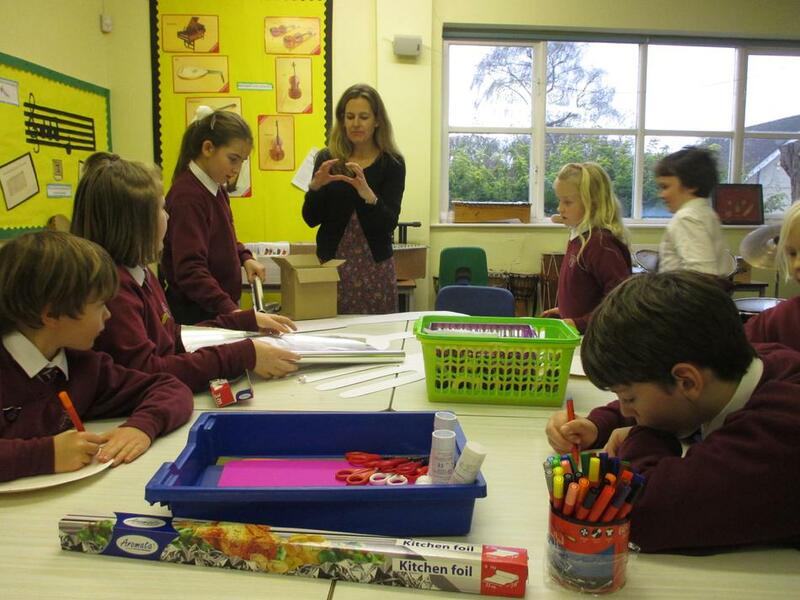 The document below gives an overview of the afternoon and some accompanying pictures. 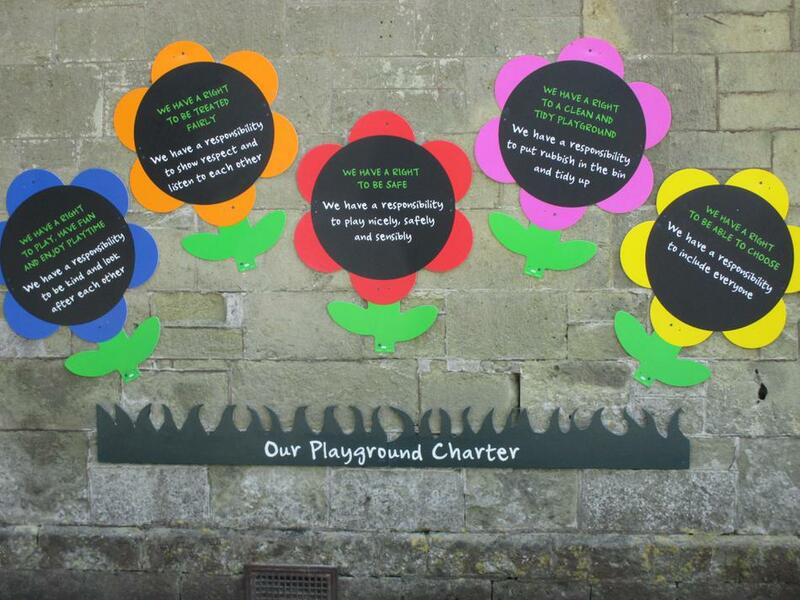 It was a very successful afternoon and now School Council will be using these thoughts and ideas to create our whole school Lunchtime Charter and Play time Charter. 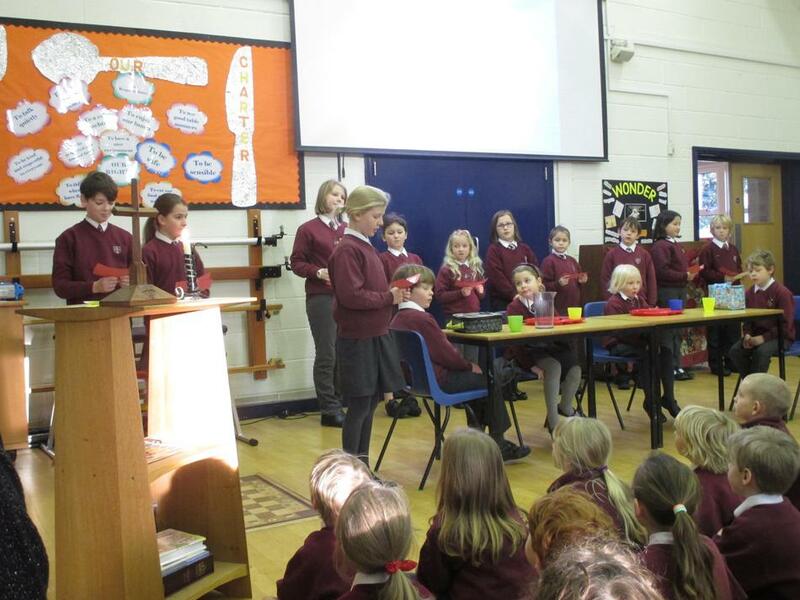 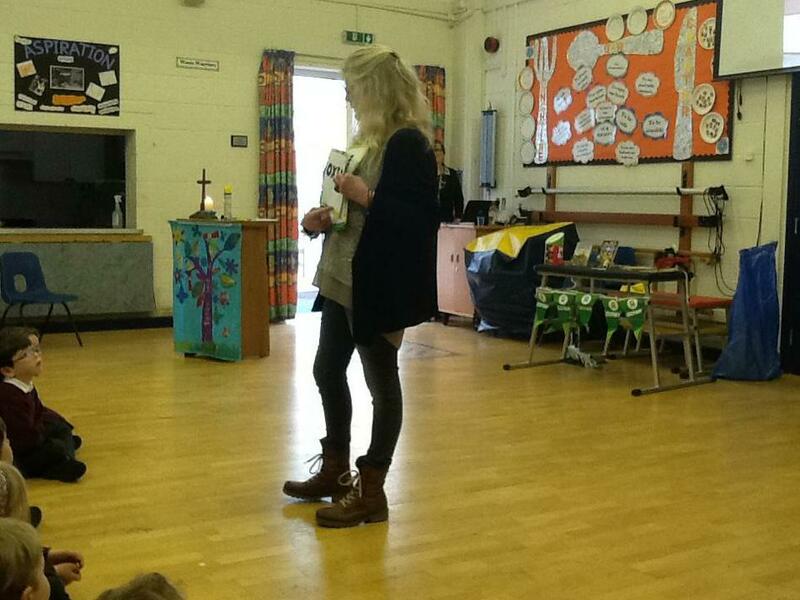 Today, Thursday 8th October, we held a Fair Trade day and what an exciting and informative day we've all had! 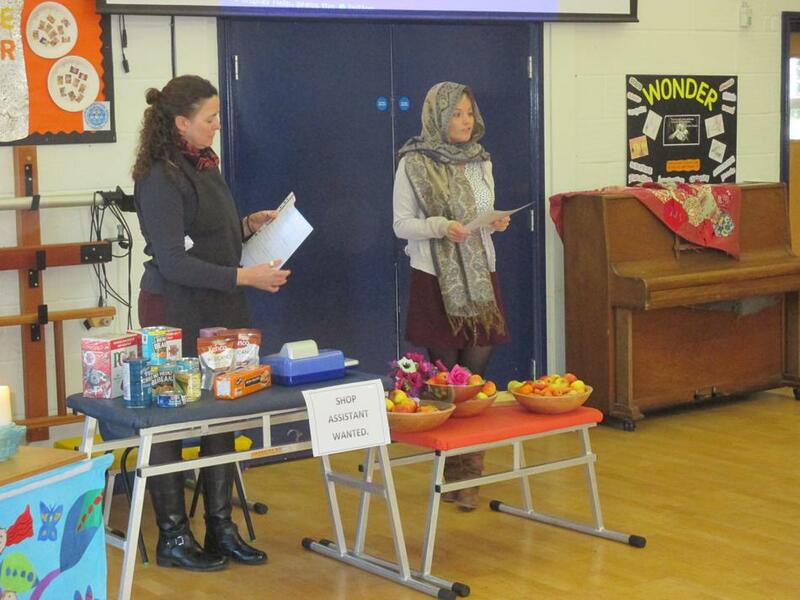 Our day started with an assembly led by our guest, Mrs Janet Way, where we learnt about what Fair Trade is and means. 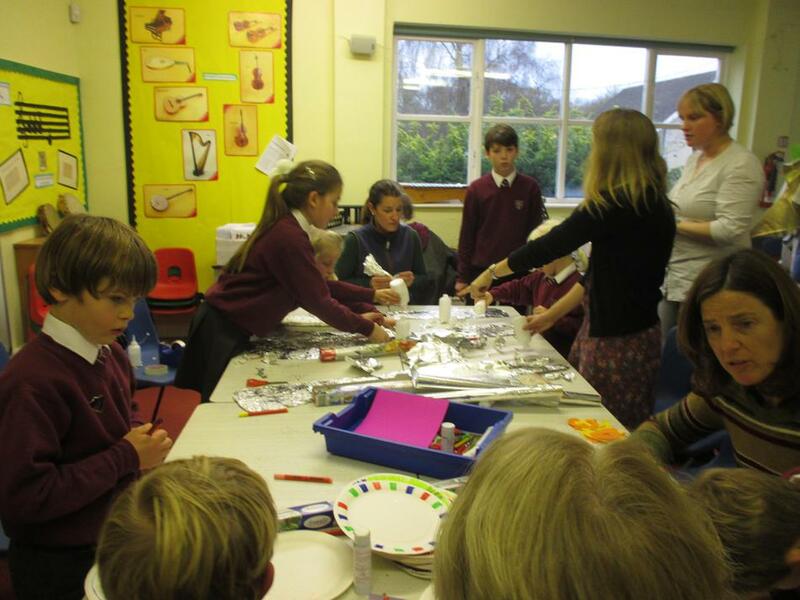 This was followed by a day of activities within the classes and a workshop with Mrs Way. 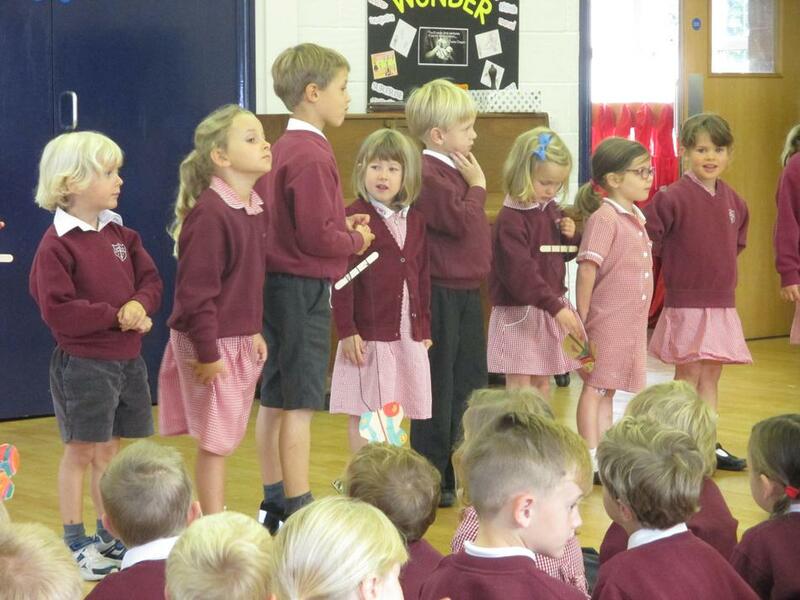 Whilst Turtles and Starfish learnt about bees and Fair Trade honey, Swordfish learnt about Fair Trade in Nepal, Coral about Fair Trade chocolate and Stingrays Fair Trade chocolate and coffee. 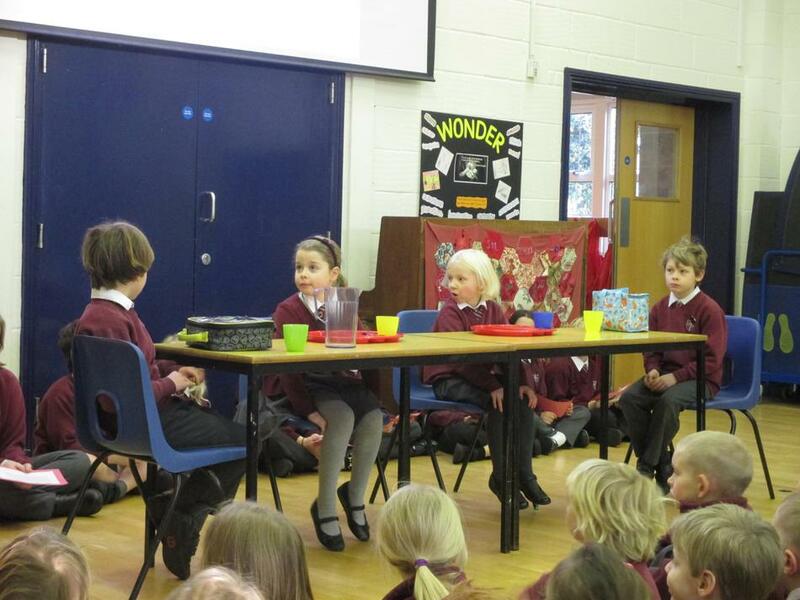 It was wonderful to see the children's enthusiasm and the thoughtful questions they asked. 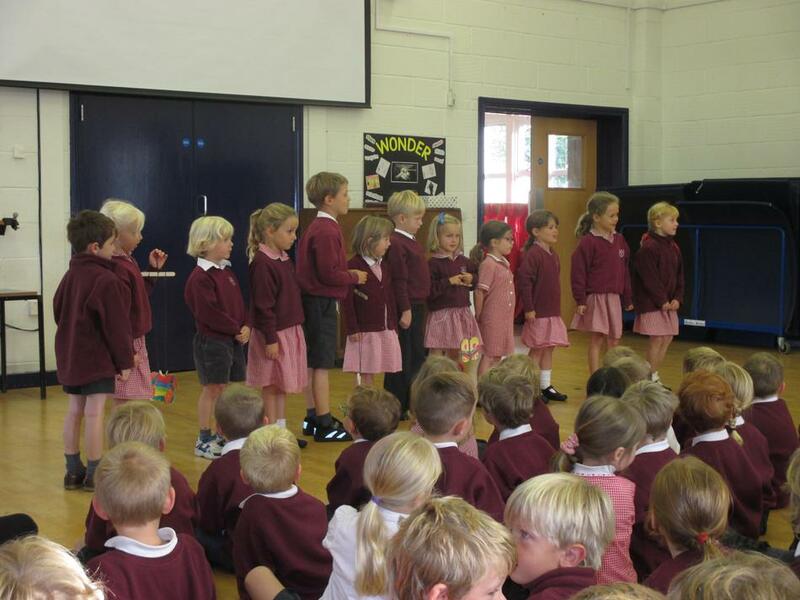 On Friday 11th September we had our first Rights Respecting Assembly. 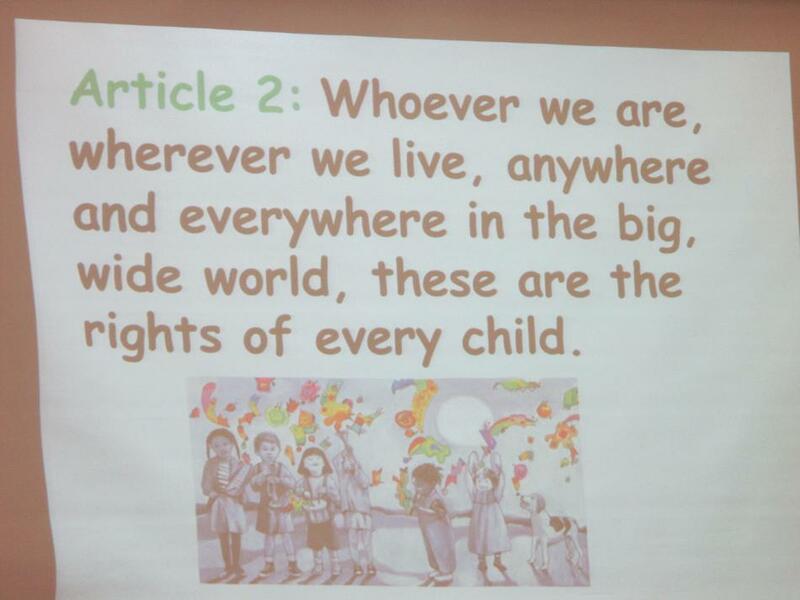 Each class had been looking at a different article from the UN Convention on The Rights of the Child and they shared what they had found out with the rest of the school. 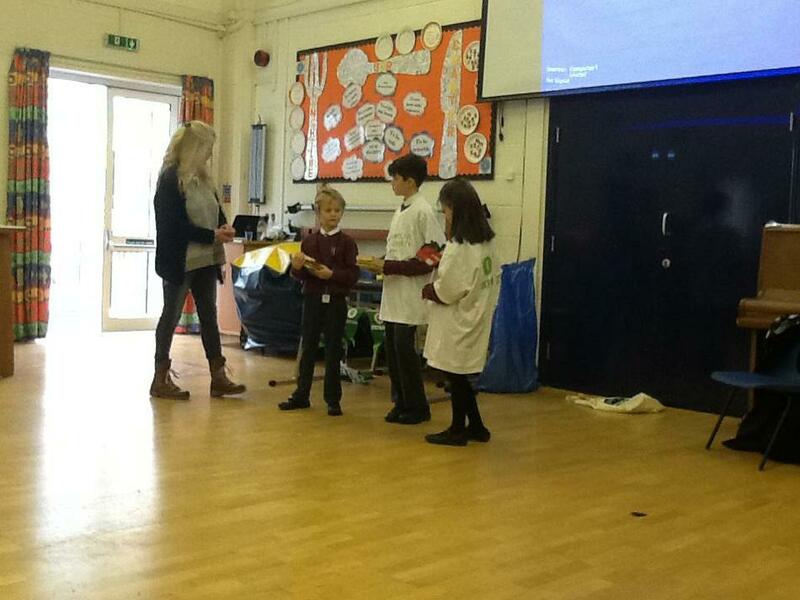 Looking at games that they enjoyed doing and games other children around the world played. 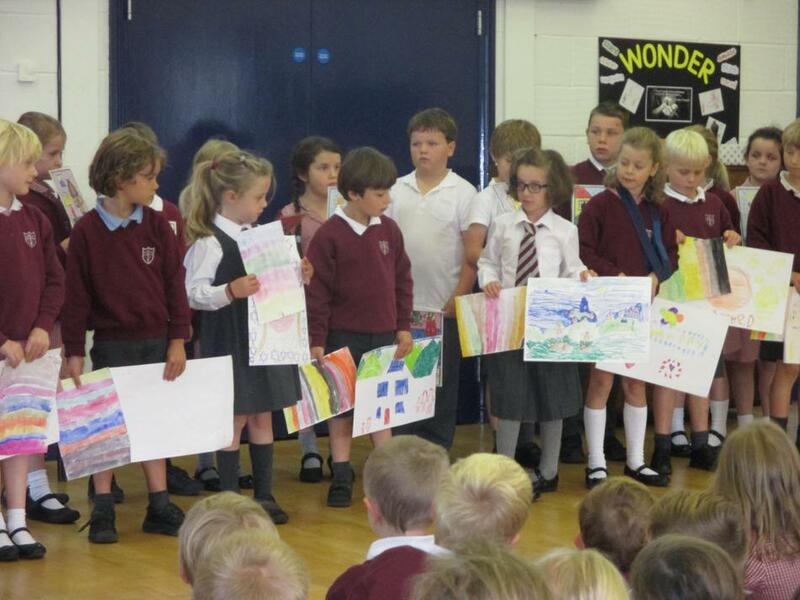 They looked at different feelings & emotions and have produced some beautiful artwork. 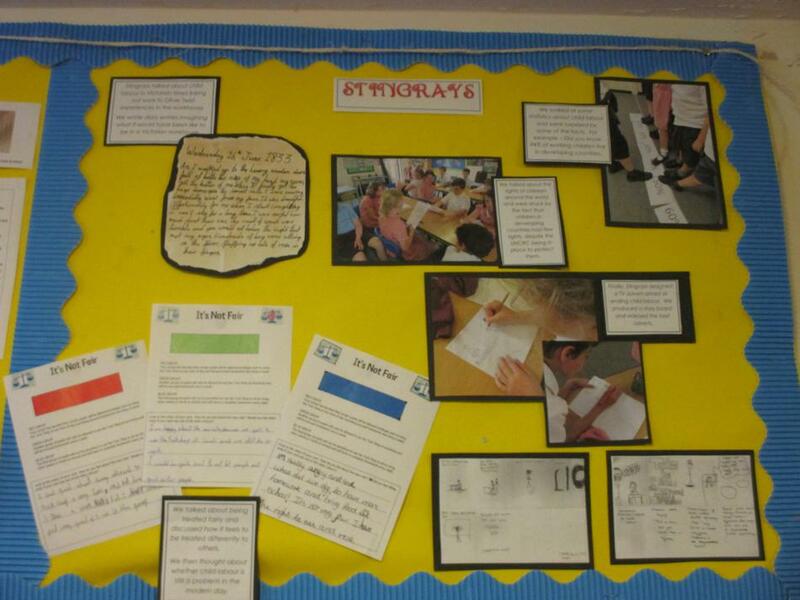 They looked at what every child needs and not just the rights but also the associated responsibilities. 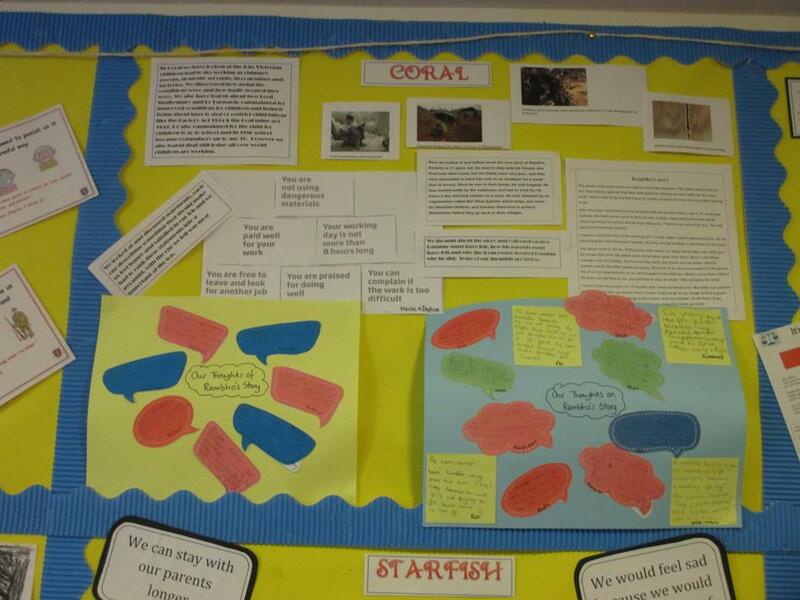 Explored taking care and protecting the Earth (Article 28, 29) and also looked at protecting minority and indigenous groups all linked to their terms topic on Rainforests.